The quirky crew in Pawnee finally receive their long-awaited vinyl figures with Funko Pop Parks and Recreation! 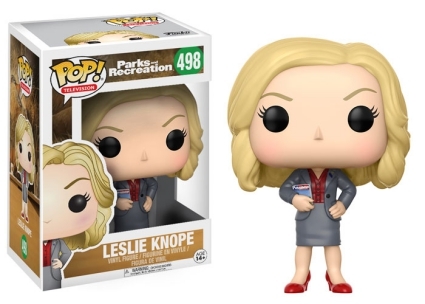 Reunite the passionate team from Parks and Rec in the Pop! Television set. In her typical business attire, Leslie (Amy Pohler) is seen wearing a gray skirt suit with a maroon blouse and matching pumps. The blonde politician even has her "Vote for Knope" button on her blazer. 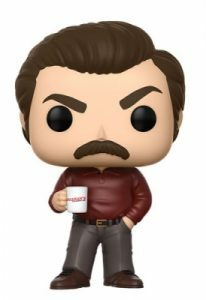 Everyone's favorite cynical, yet caring boss, Ron Swanson (Nick Offerman) is posed holding a coffee mug in a red sweater. 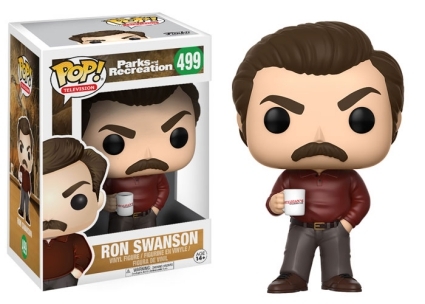 His furrowed brow and mustache suggests he's probably annoyed at the thought of having an adorable vinyl figure. 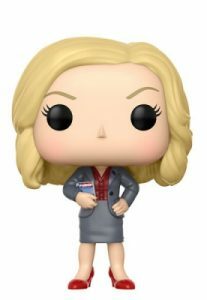 Shop for Parks and Rec Pop Figures on Amazon. 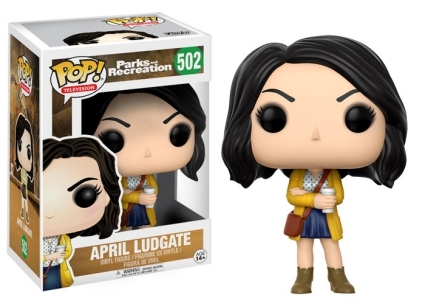 Other Funko Pop Parks and Recreation options include April Ludgate (Aubrey Plaza) in a yellow sweater jacket with her arms folded, while Andy Dwyer (Chris Pratt) is shown with his guitar, wearing a smock over his plaid shirt. 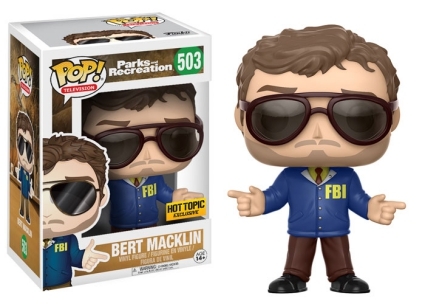 Issued through Hot Topic, Dwyer's alter-ego Bert Macklin rocks over-sized sunglasses and a blue FBI jacket. 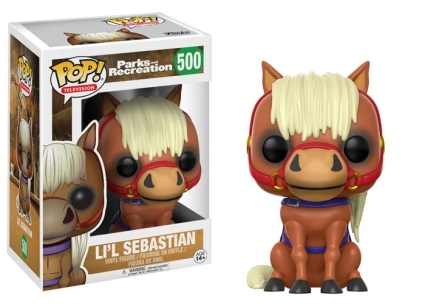 Fans can find Pawnee's famed miniature horse, Li'l Sebastian, too. 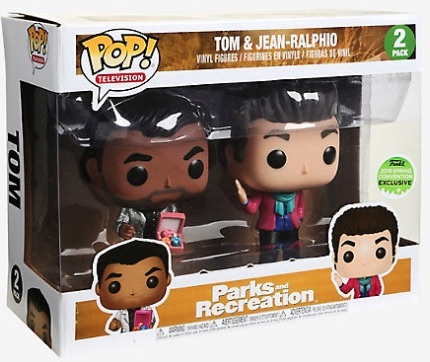 In addition, 2018 provided two Parks and Rec exclusives, including Ron with cornrows at 2018 SDCC and the debuts for Tom Haverford (Aziz Ansari) and Jean-Ralphio Saperstein (Ben Schwartz) in a 2018 ECCC two-pack. Collectors looking for more P&R choices should check out the 2013 Press Pass set that featured autographs and relic cards for many of the cast members. 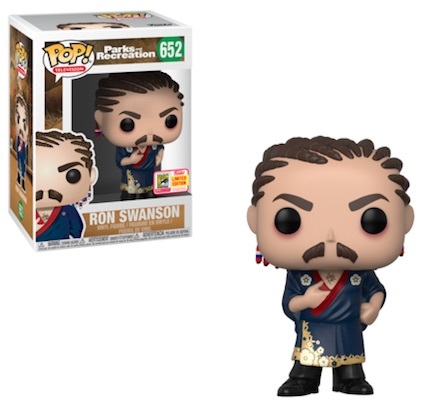 FUNKO POP PARKS&RECREATION -RON SWANSON CORNROWS 2018 SUMMER CONV EX NEW 5.5 10? Funko Pop! 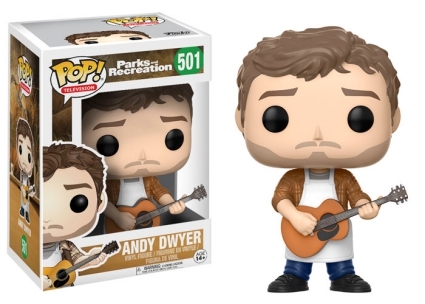 TV | Parks and Recreation | Andy Dwyer | #501 | Vaulted w Protector!